India got its independence in 1947 but the struggle for freedom spanned decades before this. One of the first female rulers to rebel against the British Empire was Rani Chennamma. 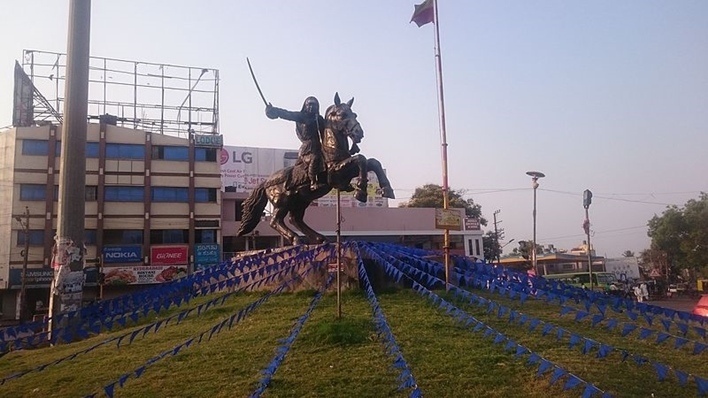 As the ruler of Kittur, she fought against the British and became a folk hero in Karnataka. Here is a snapshot of her life and fights. Chennamma was born in a small village on October 23, 1778. She was trained in archery, sword fighting and horse riding and quickly became known for her bravery and skills. At the age of 15 years, she was married to Mallasarja Desai, the ruler of Kittur. 23 years later, in 1816, her husband passed away leaving her with a young son. Her son too died a few years later in 1824. After her son’s death, Chennamma adopted a boy named Shivalingappa and named him the heir to the throne. Chennamma’s adopted son was not accepted by the British East India Company on the grounds of the Doctrine of Lapse introduced by Lord Dalhousie. According to this doctrine, if the ruler of a state dies without a natural heir, the state would be ruled by the sovereign. Thus, the state of Kittur would be brought under British rule. When notified of this, she wrote a letter to the Lieutenant-Governor of the Bombay Presidency, Mountstuart Elphinstone pleading her cause. However, the request was turned down and the British attacked Kittur with over 20,000 men mainly from the Madras Native Horse Artillery in order to confiscate the jewels of Kittur. The queen was victorious in the first round of the war in October 1824. St John Thackeray, the collector and political agent in Kittur was killed while two British officers, Mr. Stevenson and Sir Walter Elliot were taken as hostages. They were later released with the understanding that the war would be terminated. However, the British forces continued to attack with more force. She and her lieutenant Sangolli Rayanna fought bravely but they were betrayed by traitors in their army who mixed cow dung with the cannon gunpowder. As a result, during this second assault, the queen was captured by the British. She was imprisoned in the Bailhongal Fort where she spent her time reading holy books. With time her health began to deteriorate and she finally breathed her last on February 21st, 1829. Her struggle inspired her lieutenant who continued to fight against the British on her behalf. He too was subsequently caught and hanged by the British. Every year, Kittur celebrates the Kittur Utsava from the 22nd to the 24th of October in Rani Chennamma’s name. As a mark of respect to the queen, erstwhile President Pratibha Patil unveiled a statue of her in front of the Indian Parliament Complex on September 11th, 2007. Two other statues were also installed in Bangalore and Kittur. A daily train between Bangalore and Kolhapur was named after the Rani as the Rani Chennamma Express. Her life was also captured on film in the form of a historical-drama film by B. R. Panthulu. The film is named Kitturu Chennamma.